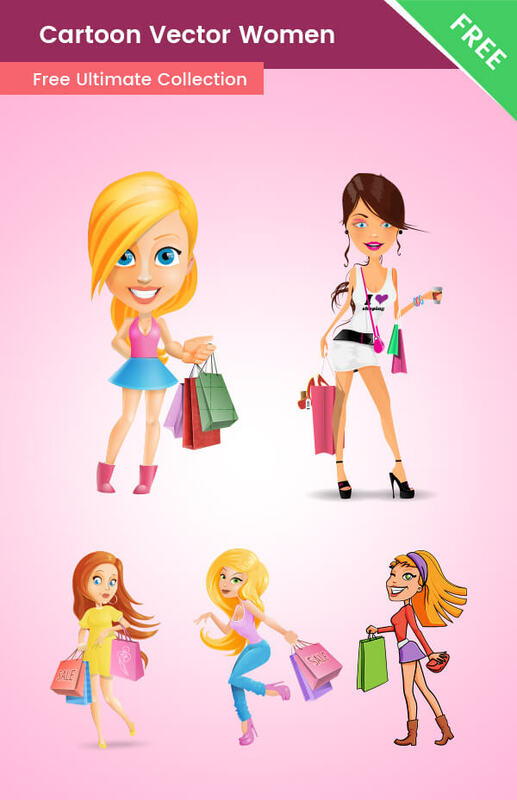 A Collection of cartoon vector women, that is available for free download. This vector collection contains 5 great illustrations of women. These female cartoons are great for shopping and sales-themed designs. All of the characters in this set are made with vector shapes – this gives you the opportunity to modify the woman cartoons as you need to make them fit into your design perfectly. This set is compatible with Adobe Illustrator CS6 version or higher. For your convenience, in the download archive, you will find .ai, .pdf, and .png source files.